Our events calendar is getting fuller and fuller, as is our stock of Fairtrade Jewellery and Craft Items. 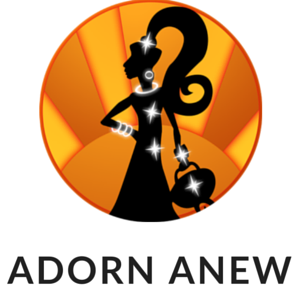 It is so exciting to see how Adorn Anew is growing and developing. We are mainly selling Vintage Ladies and Gents Jewellery online with our Ebay and Etsy Stores. The Fairtrade is coming into it’s own at events. Our customers have been so welcoming and appreciative of what we have to offer, and we hear comments such as “Wow, we never see this here!” Isn’t it different?” “Isn’t it colourful?” The hand made quality of the items means that no two items are ever exactly the same. It means that they are unique. The thing that has really surprised me is that people do like to see something different, not the safe same things available in larger shops. Our new lines in tin tea light sculptures have had a good reception, and have started selling, followed by the wooden sculptures. We have now added some sweet Worry Doll Couple Pins (Making a welcome return), and some hand knitted Finger Puppets, that will be coming with us to our next event in Lichfield Market Square on 23rd/24th July, this weekend. The weather doesn’t look great, but we are in a large Marquee so it will be dry even if the rain persists outside. We have expanded our range of Friendship Bracelets to include some easy to wear designs, and some cute little butterfly beaded ones for younger wrists. Our range of Aboriginal Design Fridge Magnets are already doing well and we have already had to replenish them. Catch up with us at events to see our lovely new colourful stock. Our current events calendar is kept as up to date as possible in the comments of the pinned post on our Facebook page. If you can’t come and see us in person contact us on Facebook, Twitter or through our Ebay, Etsy and Depop Shops. Your jewellery is lovely and the comments about your fair trade items are spot on ???? Thank you Helen for you comments. I love the ethos behind selling Fair Trade items.